Bride-to-be Nihali got a gorgeous makeover with jewelry from Rivaah By Tanishq and a gorgeous outfit by Shyamal & Bhumika. 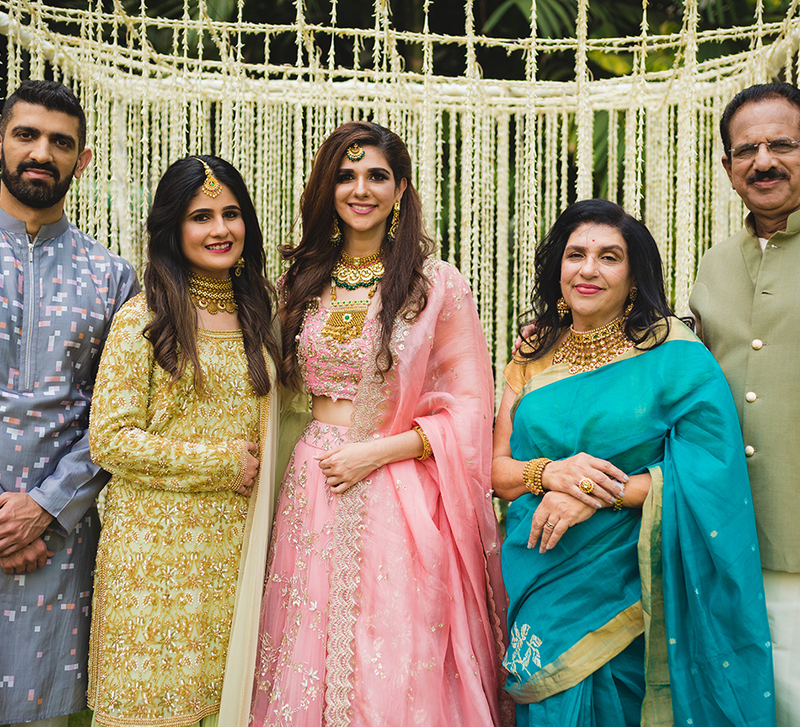 WeddingSutra, in collaboration with Lakme Absolute and Rivaah by Tanishq, brings to you 'WeddingSutra on Location' – a curated showcase of top bridal trends and style statements from some of our WeddingSutra Favorites. 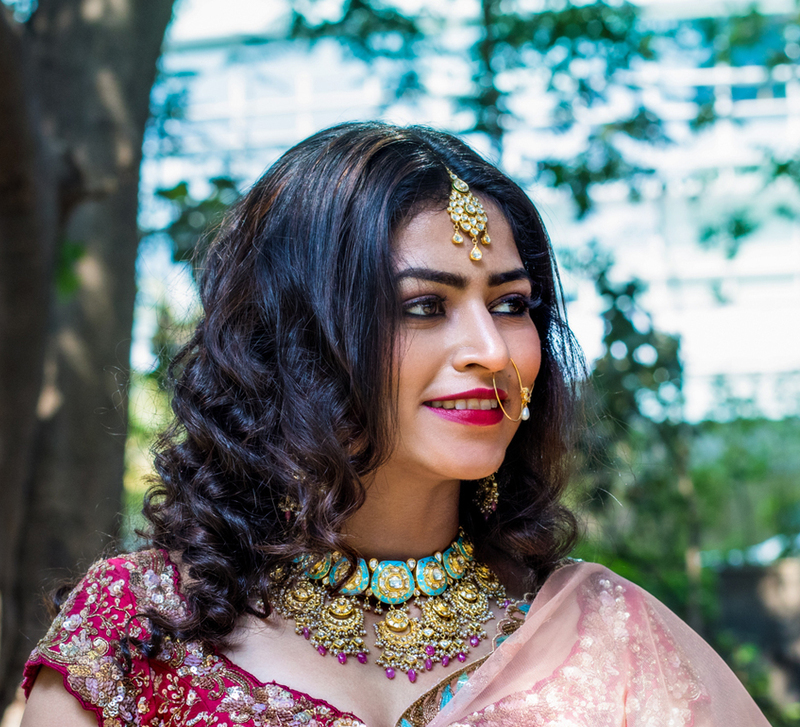 This month, our popular bridal initiative 'WeddingSutra on Location' took place at a serene paradise nestled in Mumbai’s thriving business district- The Westin Mumbai Garden City. 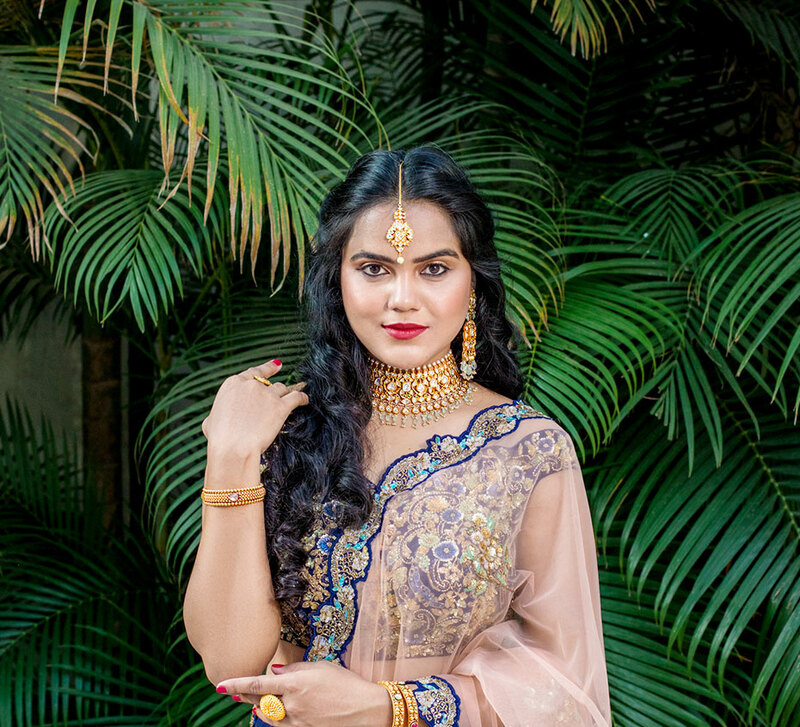 In the second of this three-part series, bride-to-be Nihali underwent a stunning transformation that evoked the excitement of her forthcoming wedding and shares her experience here. This season, it's time to put your black eye makeup, especially eyeliner, in the back of your beauty drawer and bring out the bold colors. Vibrant hues, metallic eyes, jewel tones, and striking accents have officially stolen the spotlight when it comes to beauty looks, and makeup artist Minee Khanna worked this trend on Nihali beautifully. Minee used products from the Kareena Kapoor Khan Collection by Lakme Absolute to up Nihali's glam quotient and give her a dreamy edge. Hairstyling expert Disha Pamnani worked her magic on our bride-to-be’s tresses. 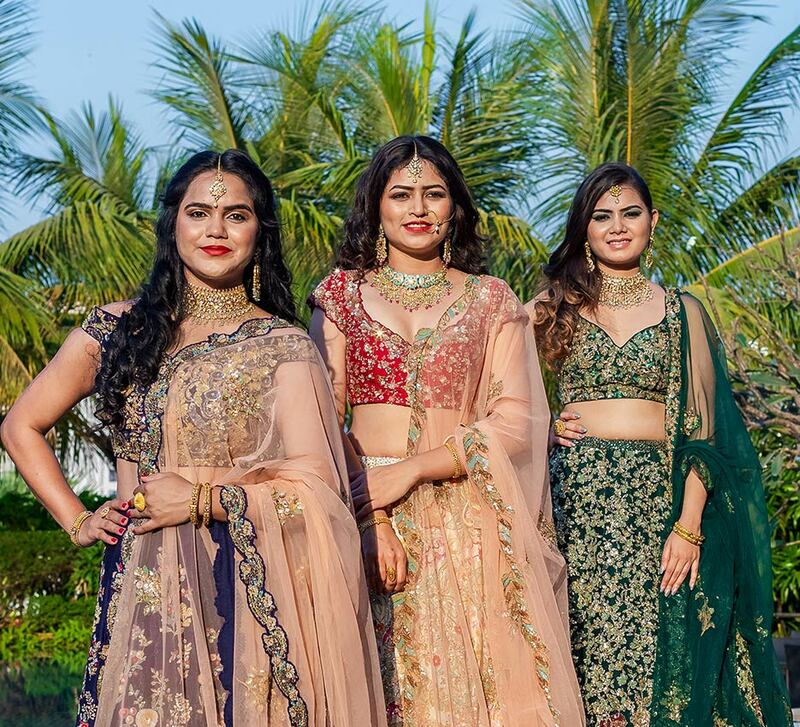 To complement Nihali's personality, WeddingSutra experts picked a heavily encrusted emerald Shyamal & Bhumika lehenga which made her look like a modern-day princess! Completing the look were the stunning ornaments from Rivaah by Tanishq that were handpicked by the team. As Nihali underwent every step of the makeover, the photography team of Once Upon A Time- Wedding Tales captured each moment in splendid frames. Ornaments from the expertly curated Rivaah By Tanishq range glittered with delicate detailing. The polki choker set, earrings and a 'maang tikka' (forehead ornament), epitomized the brilliant craftsmanship that the brand is known for. With suspended pearl detailing, this dull gold showstopper was a nod to both antique allure and modern elegance. Nihali's wrists were adorned with gold bracelets, and she flaunted a beautiful ring too. Sharing her views on the emerald lehenga, she added, “I was a little skeptical about the color of the lehenga. However, after wearing it, I realized how well it complemented my skin tone. The delicate champagne gold embroidery that glimmered throughout the outfit was just remarkable. Further, with a brilliantly styled blouse and an unconventionally cut hem, the lehenga blended modern and traditional elements." Makeup artist Minee Khanna brought a sun-kissed glow to Nihali’s face by beginning with an application of the Lakmé Absolute Argan Oil Serum Foundation in Ivory Cream. She then used the Lakmé Absolute White Intense Wet and Dry Compact to set the foundation. For the subtle glow on the cheeks she used the Kareena Kapoor Khan Lakmé Absolute Face Contour - Natural Light and the Kareena Kapoor Khan Lakmé Absolute Cheek Contour. Moving on to the eyes, she added drama with the Kareena Kapoor Khan Lakmé Absolute Eye Definer and the Kareena Kapoor Khan Lakmé Absolute Lash Definer. To finish the enchanting look, she teamed the jade green eyes with the Kareena Kapoor Khan Lakmé Absolute Pout Definer - Mischievous Love.